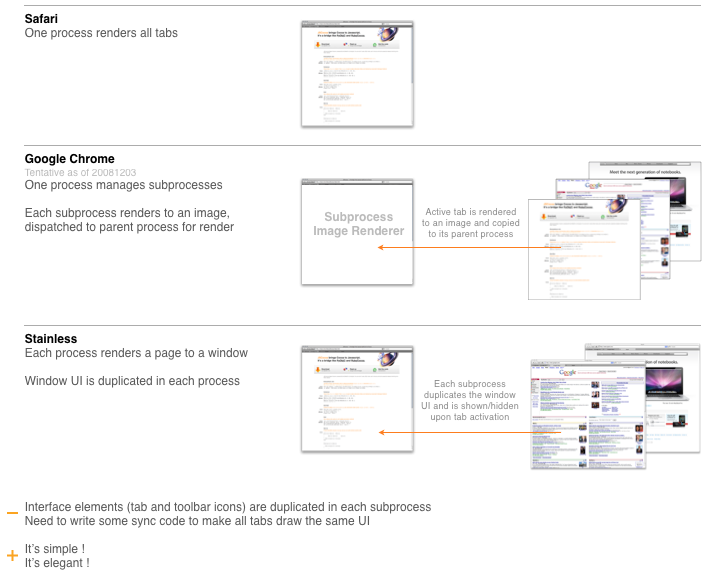 The new Stainless browser renders each webpage in a separate subprocess. Which is absolutely great as one webpage crashing will only crash its process, sparing the other webpages. How does it work ? Quartz debug to the rescue … each Stainless subprocess renders the whole window ! Interface elements, like the tab list, are duplicated in each subprocess. This is a straightforward, clean implementation. I find that solution much more elegant than rendering to an image and moving it to the parent process. Hats off to the Stainless devs, this is really a great trick !